GR8 Security Limited aim to provide all of our clients with the option to receive all support services they require from one innovative and effective supplier. 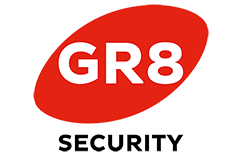 GR8 Security Limited promotes training and development and emphasises the value of active customer service as a vital tool to both gain competitive advantage and exceed client expectations. As the MD, I will ensure those who operate within the business understand this statement and how they contribute to its effective implementation and achievement.